Ryanair, Ireland’s No.1 airline, today (13 March) got under starters orders for the biggest week of the horse racing year, the 2017 Cheltenham Festival, as thousands of punters began the annual pilgramage to the Costwolds. Over 22,000 fans with fly with Ryanair during Cheltenham week with record bookings on flights to Birmingham, Bristol and East Midlands, all on the lowest fares, and one of the highlights will again be the Grade 1 Ryanair Chase, which gets underway at 14.50 on Thursday, March 16th. To celebrate Cheltenham 2017, Ryanair is releasing seats across its European network for sale from just €9.99, which are available for booking until Thursday (16 March). Since these amazing low prices will be snapped up quickly, customers should log onto www.ryanair.com and avoid missing out. 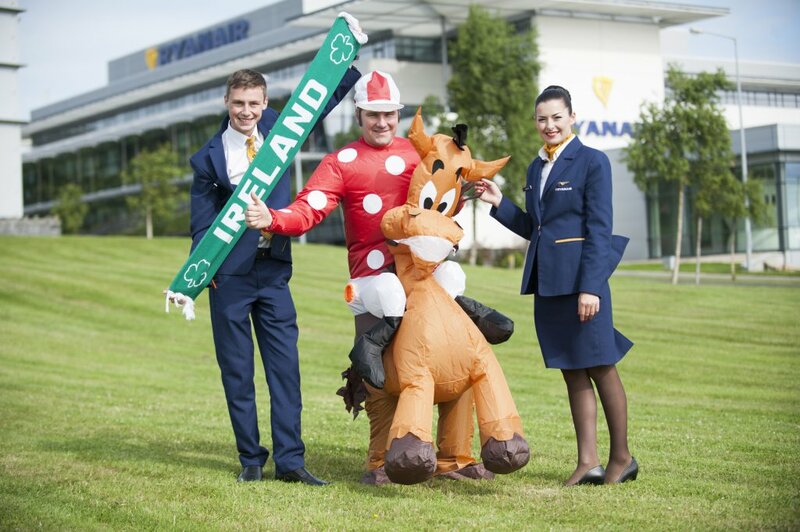 “It’s Cheltenham week which means three things – craic, horses and even more low fares! We’ll carry over 22,000 Irish racing fans to the Cheltenham Festival, with record bookings on our flights to Birmingham, Bristol and East Midlands.